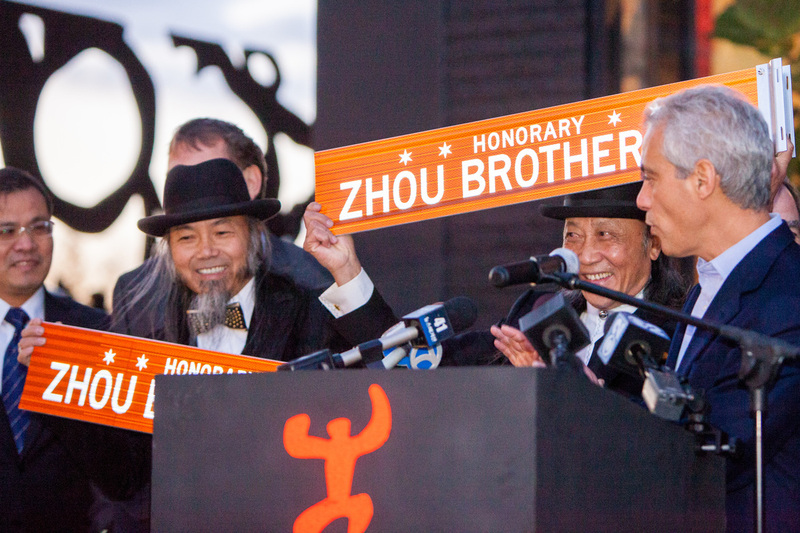 "BRIDGEPORT — The Zhou Brothers will soon have their own street sign at 1029 W. 35th St.
To ring in the start of the City of Big Dreams Fest, Mayor Rahm Emanuel and Ald. Patrick D. Thompson (11th) will officially dedicated the stretch of road as “Zhou Brothers Way” at 5 p.m. Friday. The dedication will lead to a 7 p.m. performance by Bryant Young Professionals (BYP). Chicago-based jazz singer Lili K will take the stage at 8:30 p.m. The Zhou B Art Center's resident artists will feature artwork in their studios and performances are scheduled for each floor."